What Is the Polarization Index? "Dielectric" and "insulator" both refer to electrical insulation. They prevent short circuits and protect people from electric shock. The dielectric breakdown test and the insulation resistance test have the same basic objectives of proving the effectiveness of the insulation, but they use different methods. The dielectric breakdown test is where technicians apply increasingly higher than normal voltage to electrical components to determine the voltage where the insulation breaks down and begins to conduct electricity. This is called the breakdown voltage. The insulation resistance test seeks to measure the resistance of the insulation or dielectric. In this test, a technician applies a moderate voltage to the insulation with the purpose of measuring the current which flows through it. She then uses the Ohm's Law calculation, dividing the voltage by the current to get the resistance. 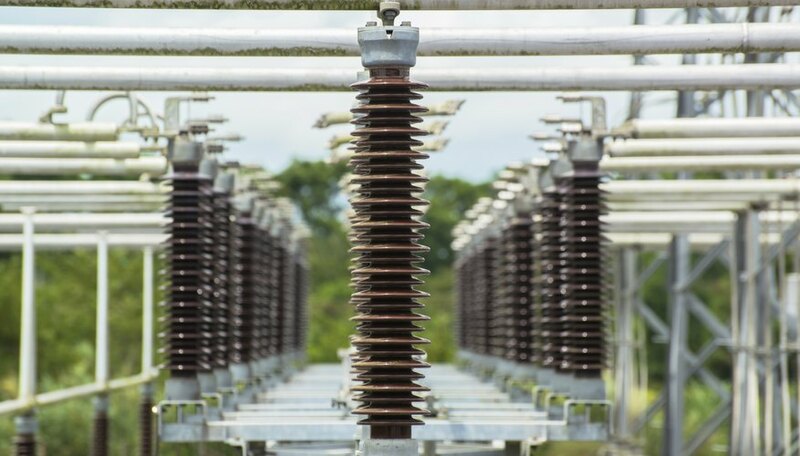 Since the current measured will be small, in milliamps or microamps, the resistance will be many millions of ohms, which is typical for an insulator. Both tests provide useful information for designers, technicians and users. Designers can use the information from the dielectric breakdown and the insulation test to redesign or repackage insulation of the components or they can simply include the dielectric breakdown and insulation resistance values on the component specification sheet. Chestnut, Dwight. "Dielectric Breakdown Vs. Insulation Resistance Test." Sciencing, https://sciencing.com/facts-7954168-dielectric-vs-insulation-resistance-test.html. 09 January 2018.